Just as the sun never goes unnoticed, neither does this Apples of Gold creation. 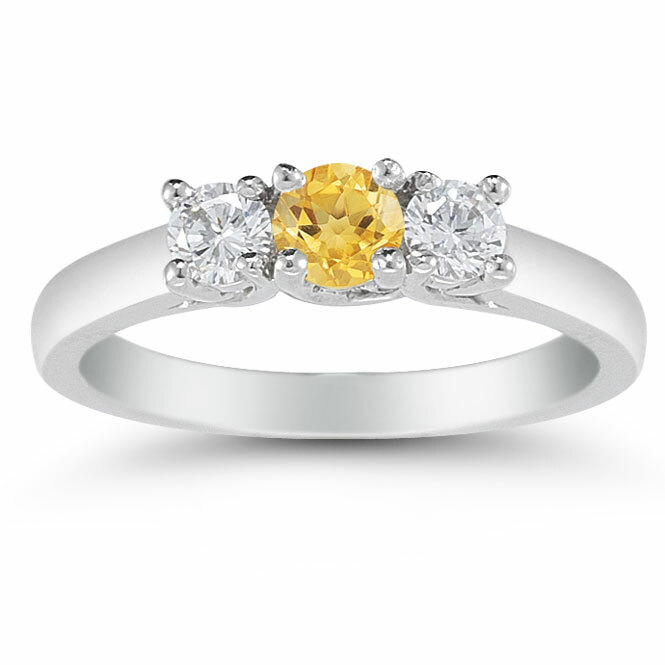 This three stone ring lets a scintillating citrine stone make the star appearance with its vibrant yellow color. The 4mm gemstone is bordered on both sides by two enchanting white diamonds that glimmer on all sides. The 0.15 carat diamonds and the citrine stone are supported by a lustrous white gold band that flows into a four-prong setting for each of the precious stones, ensuring you always have the brightness of the sun at your fingertips. 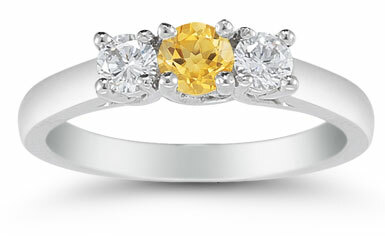 We guarantee our Three Stone Citrine and Diamond Ring, 14K White Gold to be high quality, authentic jewelry, as described above.